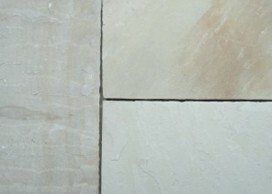 We stock a wide range of natural stone paving in a variety of colours and textures. Our paving is popular and stock changes weekly, please contact us for current stock details. Display areas of laid paving are viewable at our Thornhill yard. Using your specifications or our in-house design our skilled masons can produce unique features. We supply a range of landscaping materials including steps, coping, walling and paving. Contact us if you have anything specific in mind. We source and supply large quantities of new and recycled Setts and Kerbstones for both commercial and domestic use. Please contact for latest stock or if you have a specific requirement. We have a large range of ‘ready to build’ walling stone in a variety of stone types and finishes. Click here to view the full portfolio.